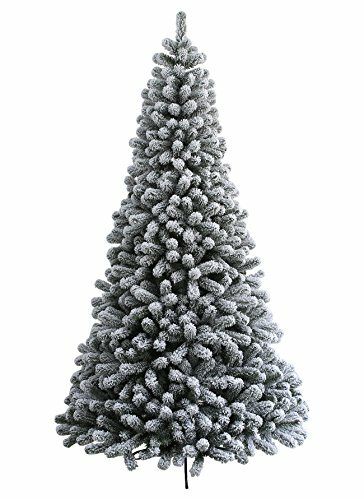 The 7 Foot Prince Flock Unlit Artificial Christmas Tree King of Christmas's Prince Flock Tree is frosted to perfection in fresh powdered snow, bringing the joy of a snowy Christmas day indoors. The powdered PVC tips of this gorgeous flock tree are the perfect place to hang your cherished Christmas decorations. In its exclusive way, the illustrious Prince Flock Tree brings winter's beauty to life in your own home. Allow the Prince Flock Tree to steal the show this Christmas, adding a special crisp to accompany the warmth that envelops us every holiday season.